Great article from @HBR, “When the Competition Is Trying to Poach Your Top Employees” – by Rebecca Knight. Where are YOU holding yourself back? In his book Life Unlocked, brain and psychology expert, Dr. Srini Pillay (@srinipillay), describes how science shows it’s not simply the fears you’re aware of that can stop you, but also the fears of your unconscious brain. When unconscious fears get in the way, you may find yourself wondering what happened to your goal, or why you’re not moving forward or feeling energized by your plan. At these times it’s easy to feel frustrated, perhaps even stalled out, and distract yourself with a change of direction. And this is a perfect place for taking greater notice of what you really want. Consider how you can expand and deepen your self-awareness and stay on the path of confidence and fulfillment. Whether through meditation, developing some awareness practices described in leadership books, or working with a coach, expanded self-awareness will help you see any self-imposed limits for what they are, and lead from your true values and strengths. Unlock your leadership strengths and claim your career success! Do you really believe you can change? Not simply change your eating plan or your exercise program, but your communication or management style? Can you react less and respond more? Can you view yourself from a new or different perspective? Like many, you may (perhaps without noticing) hold the common misperception that you simply cannot change your long-time, set ways of doing things — that your old patterns have been around too long and there is no “real” way to change all these years later. You may wonder if the whole idea of self-change was created by hopeful thinkers with few facts to support the idea. Motivation towards excellence spawns the desire to change – the desire to shift behaviors to more positive, more effective ways and bring your “best” self to your life, work, leadership or career. Coaching supports individuals in shifting their mindset to ways that allow and support behavioral shifts by helping them step out of old habits to create new ones. Leadership growth is about growth and self-development, and so change. 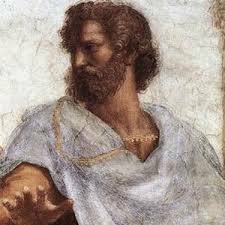 Aristotle believed we could change and he was a scientist.